Aaron (Eroni) Kumana: Aaron Kumana the tiredless Elder. Aaron Kumana the tiredless Elder. 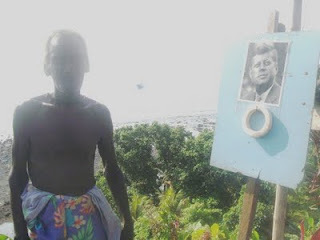 Beginning this millennium 2000, Aaron Kumana and his grandson erected a 2 meters kind of Shrine, this to remember his rescue to John F Kennedy during World War ll. Shell money was attached to the this shrine and he said, “At this time I will place this Bakia (Shell money) to symbolized my friendship between the JFK family, the shell money will do tell of the rescue of the 35th President of the United State of America,…… the Bakia which also symbolized his (John F Kennedy) leadership since captaining the PT 109 and his position as President of the United State of America ”. (All of his time with his gr and children he love to tell story of the rescue about someone important. He erected the shrine, as well for his grandchildren, for the next generation to come). During the visitation of the geographic team from Washington USA, Mr. Aaron Kumana is expecting help from them. 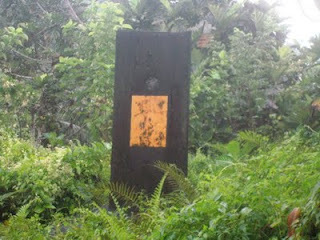 But, however, the monument was left untouched and cannot afford to carry on the project. But he never gives up; during the visitation of the tourist boat this Easter 2009 the similar item (Bakia) (Shell money) was once place outside for his contribution (view) of thanking the American for their honor-ship towards him, but he cannot have that privilege. Now he has a lot of dream for his community to fulfill.